For many people the importance of reducing sugar in their diet will have sunk in. Yet in daily life it’s not so easy for a consumer to put it into practice. On the one hand you are confronted with the fact of bad or forbidden ingredients added to the consumption list that cloud the message. On the other hand there’s the fact that sugar is like a sniper, very skilled in hiding. It doesn’t look so complicated, so here’s a few examples. Eat fruit instead of drinking fruit juice, eat little to no candy and pastry, don’t add a spoonful of sugar to you cup of tea or coffee, choose Cola zero sugar instead of the regular, and don’t cover your pancake in syrup and powdered sugar. Done, avoided all sugar, right? Alas, no. Apart from the Usual Suspects many other products contain (a lot of) sugar. An important example is the category sauces (meal sauces, table sauces, stir-fry sauces), creamy soups and chilled ready-to-eat meals. The broad range of products in this category has already been under fire for a long time due to the excessive use of preservatives and flavor enhancers, of which the market wants to get rid (because: HELP! There’s an “E-number” in my food!! ), but also because of the salt that government enforces to reduce, and on top of that fat has gained a bad reputation so… be gone with it. In practice this means that for a lot of products more (food) acid has to be added to the recipe to ensure sustainability (while covering up the applicable E-number) as well as more sugar to balance out the resulting sour meal. Result? In terms of technical structure all products become a classic Ketchup-analogue. Bad for the stomach, all that acid and bad for the obesity statistics, all that sugar. Because all these surplus sugar players in your blood put the fatty participants on the bench. Result: fat tired people. That basis of sugar and water is also used because sugar is very inexpensive. 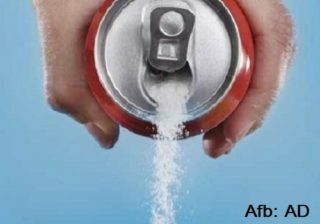 The worldwide sugar trade is huge and it is being heavily subsidized to maintain the commercial relations. Consumers are looking for their monies worth, which is easily expressed in more volume per euro. In a following edition you can read why I encourage an extra spoonful of sugar tax.